The Toyota GR Supra Racing Concept. 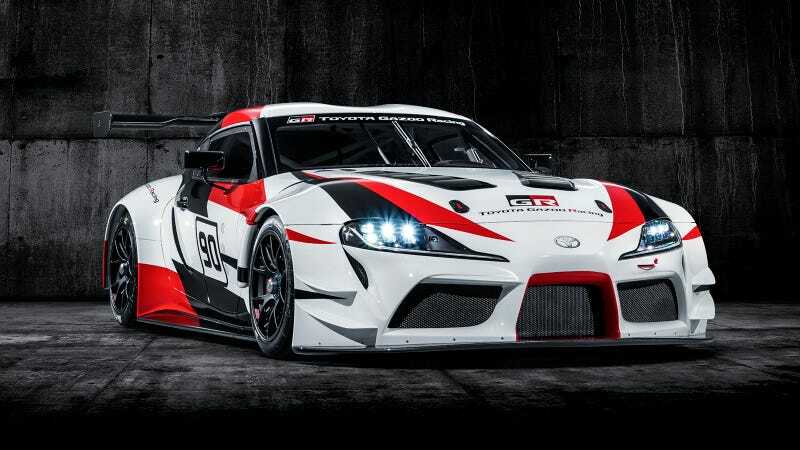 Toyota apparently spent about $2 million on the GR Supra Racing Concept it brought to the Geneva Motor Show in March, which doesn’t sound outrageous since it marked the long-awaited revival of, well, the Supra. 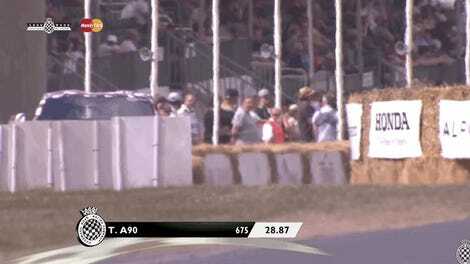 But it actually is baffling, considering how little the concept car has done in five months. The price of concepts isn’t exactly something automakers go around and talk about, since they’re often fleeting hype machines long forgotten by the time the much tamer street version comes around. That makes it hard to compare the $2-million Supra concept’s price to anything, but in terms of how much it’s done since its debut, $2 million sounds a little steep. Really, think about it. For $2 million, it debuted in March and sat on display. It went to Goodwood while a camouflaged development version of the street car sped up a British driveway, and... it sat on display. It “was air-freighted directly from Goodwood for a brief viewing by media and enthusiasts at Toyota Australia HQ,” according to Motoring. There’s a video with driving shots of it on Toyota’s YouTube page, but it’s not the “sick drift on a mobile phone” genre of video. It looks like a promo video for a racing game. Speaking of racing games, the first actual specs we learned about the concept came from a racing game. Gran Turismo Sport listed it as having 591 horsepower, two months after the car debuted in Geneva without any real details. Maybe I’m being too critical of this agonizingly slow Supra rollout, with its anticlimactic stunts like the traveling concept car that’s just there to look pretty and the “world debut” of the street car in camo. Maybe it’s been as bad as I think it has. Maybe none of this is real, and we’re all somehow combining our subconsciouses to create some alternate reality where there is a new Supra because we can’t bear to be in the real, new-Supra-less world. Real or not real, a $2-million concept car is a tiny fish in Toyota’s large, large sea of cash. But shouldn’t even the smallest of purchases do a little more than just sit around?